... that will help make this season of canvas footwear the most successful experienced by the trade for many years. 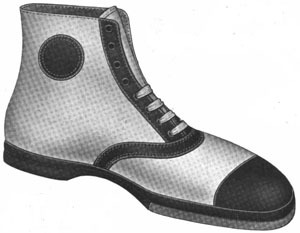 As advertised by the Hood Rubber Products Company in the April 29, 1922 issue of Boot and Shoe Recorder Magazine. Brown duck upper. White binding. Extra thick smooth white sole and spring heel. Kendex insole. Made only on Opera last in one width. Two colors. White or brown duck upper, specially reinforced. Red sport trimmed. Loose lining. 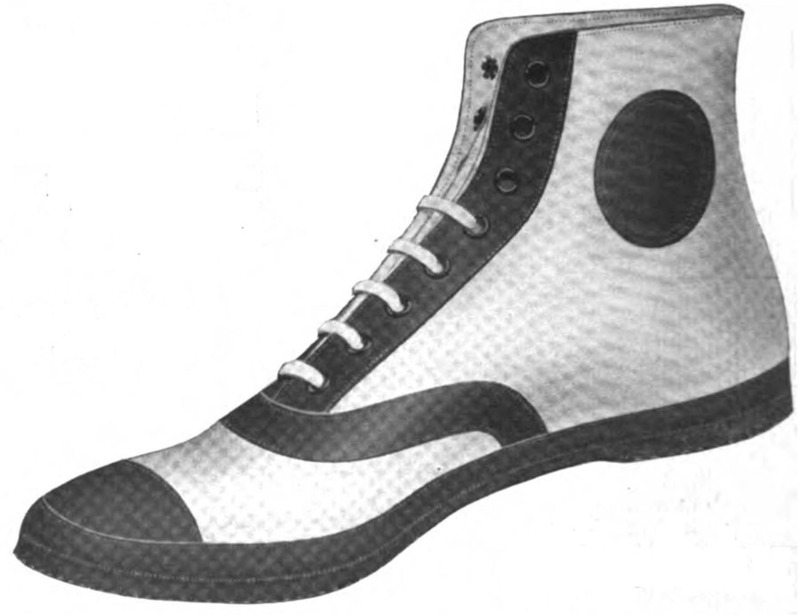 Rubber toe-cap. Red rubber sole and wedge heel, with gray tire-tread rubber forepart. Kendex sock lining. Thick felt cushion between sole and sock lining. Regular last. Width M. & F.
Brown duck upper. Red or black sport trimming. 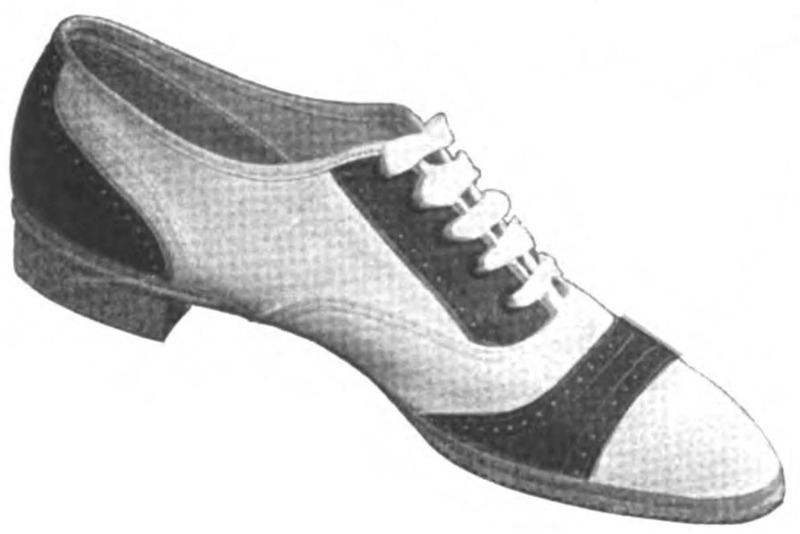 White corrugated sole. Kendex insole. Comet last. C width. White or brown duck upper. Red sport trimmed. Loose lining. Red foxing and toe-cap. 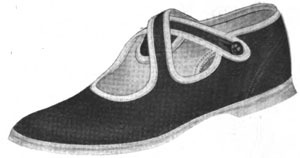 Korxole insole. Red corrugated sole. Regular last. Width M. & F.
Back to the top of Charlie's Sneaker Pages! Click here to send E-mail to Charlie. Charlie's Sneaker Pages copyright 1995-2019 by Charles L. Perrin. READERS PLEASE NOTE: Names of athletic shoe manufacturers, shoe styles, and technologies may be trademarked by the manufacturers. Charlie's Sneaker Pages uses these names solely to describe the shoes with the same familiar nomenclature used by the manufacturer and recognized by the reader.